Leviton’s eXtreme 10G Patch Cords exceed all channel performance requirements in TIA-568-B.2-10 from 1MHz to 500MHz to support the IEEE 802.an standard for 10 Gigabit Ethernet over UTP cable. 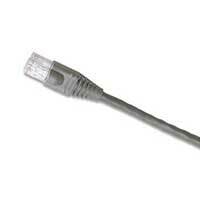 eXtreme 10G patch cords are designed for use in high bandwidth applications such as 10 Gigabit Ethernet. Leviton's Angled Patch Panel Accessories include an Angled Management Bar, Front 1 RU and 2 RU Blank Angled Panels and a 1 RU Transitional Cover. 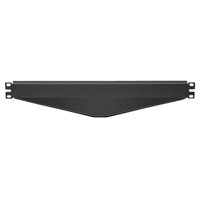 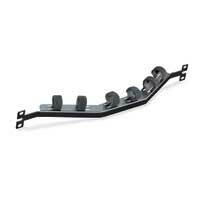 Designed to maximize the versatility of the Angled Patch Panel offering. 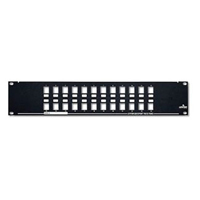 Create a Category 5, 5e, 6, or 6A multimedia panel instantly by matching Leviton connectors with QuickPort patch panels and patch blocks. 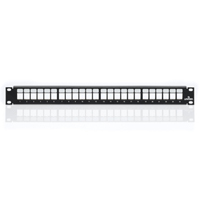 Install QuickPort voice, data, audio, and video modules to configure the panel to your exact needs. 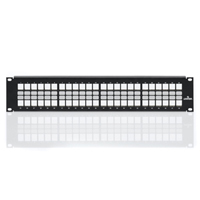 Patch blocks hold 12 QuickPort modules. 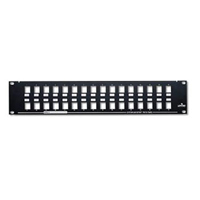 Patch panels contain 24, 48, or 72 ports. An 89D mounting bracket is sold separately for patch blocks.